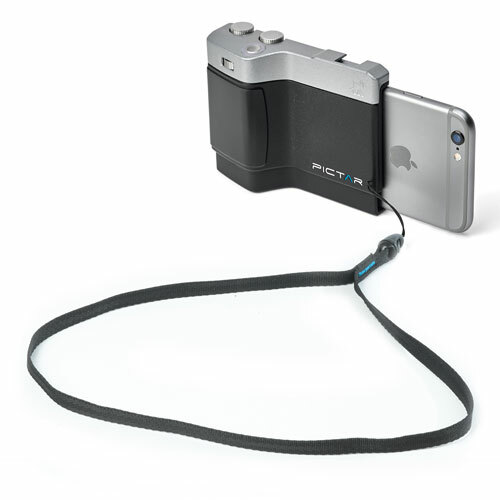 Turn your iPhone into a DSLR with the Pictar Plus Camera Grip. 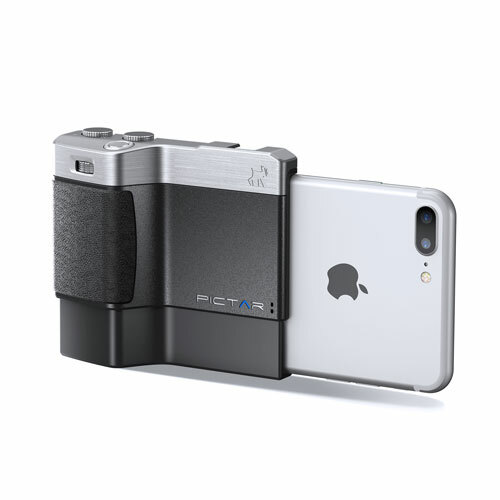 This awesome iPhone camera accessory makes your phone feel like a camera and shoots like one too. It lets you take control over your iPhone's camera and unleash its potential. 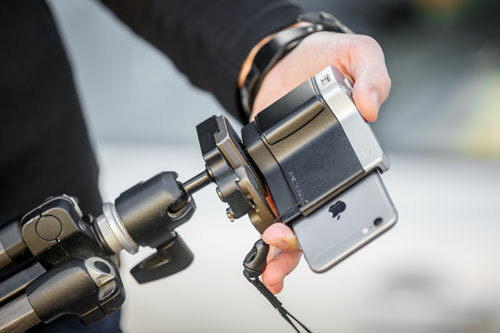 The comfortable and safe grip lets you shoot one-handed, while the clever design lets you connect it to a tripod for sharper photos and even has an inbuilt flash for low-light situations (note that Pictar's App doesn't support hand-held flash units). 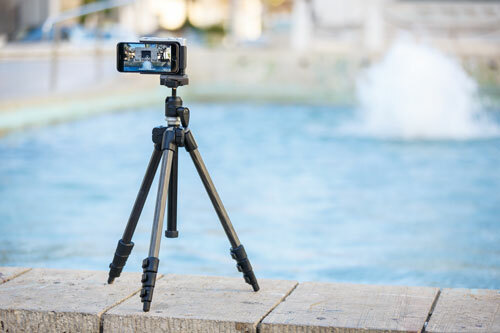 If you've wanted to start out with photography, this will definitely ease you into it as smartphone cameras, these days, rival some entry-level DSLRs. 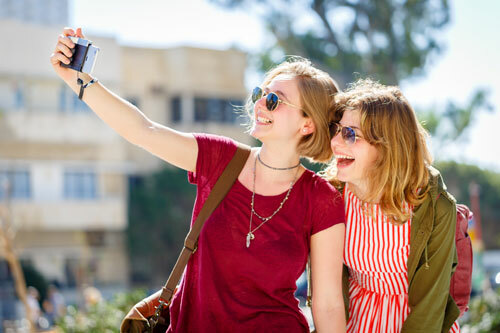 The 7 preset modes allow you to adjust to any photographic situation be it taking a portrait of your loved on or shooting a video of your friends being silly. Even advanced photographers will feel right at home with a smart wheel that lets you choose between 3 advanced modes, namely shutter or ISO priority, or manual. PS: As if the product isn't cool enough, Pictar's smart packaging will make you want to keep the box! Unleash the power of your iPhone’s camera! 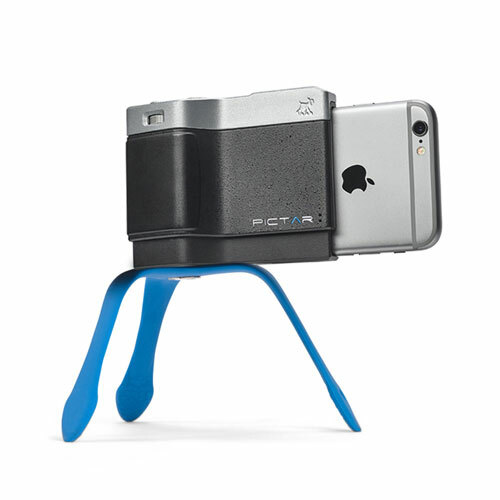 Pictar is a powerful iPhone camera-grip that connects easily to iPhone “PLUS” models (see enclosed list) and gives users unprecedented control over the iPhone's camera through a user-friendly app. 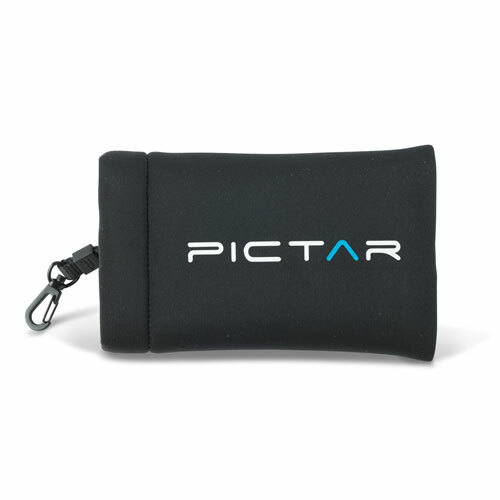 Pictar is controlled by no fewer than five external buttons and includes a patented, revolutionary interface which uses sound frequencies to activate the camera, which saves battery power compared to the standard Bluetooth connection. 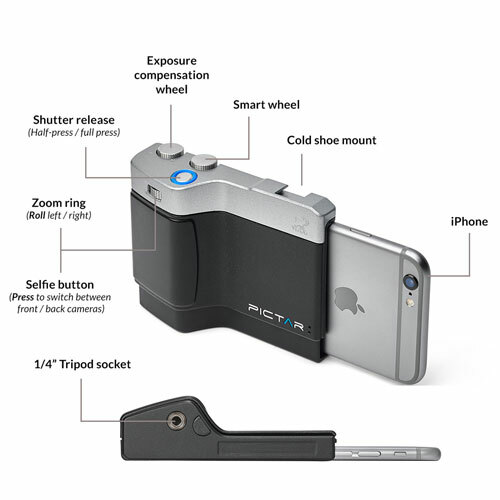 Pictar was born to address mobile photographers of all levels - from social recorders to professionals - who wish to get more from their iPhone camera and miss that good old feeling of firmly holding and easily controlling a traditional camera. 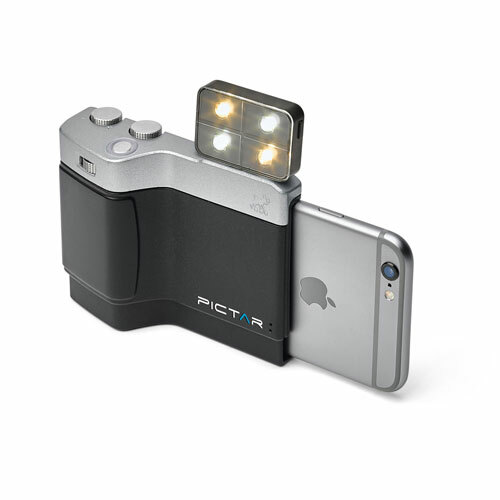 The Pictar Plus Camera Grip is compatible with iPhone 6 Plus, 6S Plus & 7 Plus. 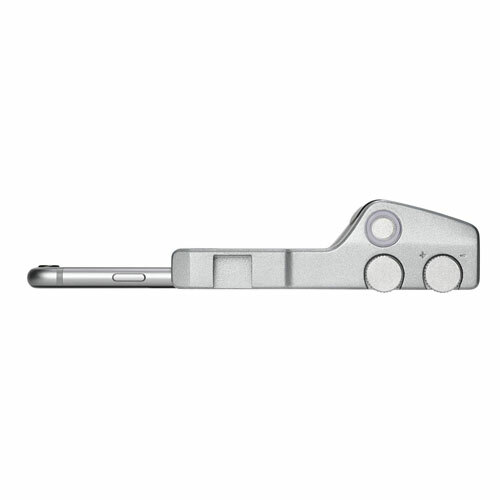 Multi-state shutter button: Electronically calibrated to provide maximum sensitivity, just like a high-end camera. 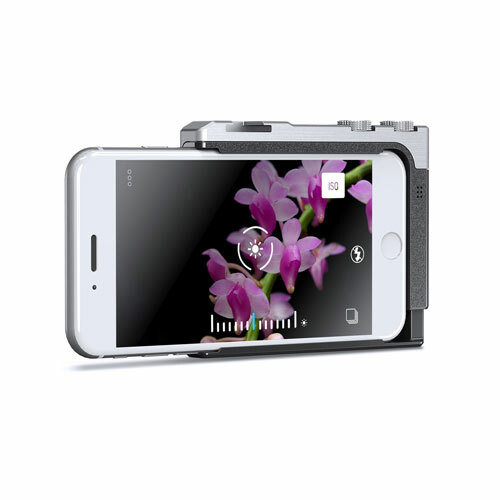 It offers "half press" mode to lock focus and exposureEXPOSUREExposure is controlled by three elements: Aperture, Shutter Speed and ISO. Achieving the correct exposure is similar to collecting rain in a bucket, up to an optimum level. The rate of rainfall is out of your control (light), yet you can control these three factors: the bucket’s width (lens aperture), the duration you leave it in the rain (shutter speed), and how effective your bucket is in collecting rain (ISO). These three elements work together to control the amount of light per unit area, preventing underexposure (too dark) or overexposure (too bright), giving you a natural looking image. for easy tracking of a moving object or to create the desired composition, as well as "full press" for immediate shutter release. Zoom ring: Located right under the index finger, making it easy for the user to activate it with only one hand. Rotate left or right activates the zoom. Can also be programmed and changed by the user to suit specific needs. Selfie button: Clicking the zoom ring will switch between the iPhone's two cameras - front and back - for easy "selfie" shots. Can also be programmed and changed by the user to suit specific needs. Exposure compensation wheel: Controls the amount of light entering the camera, which helps the user to determine the exact level of exposure without complex menus. Smart wheel: A programmable button that allows users to control a variety of functions. In default mode, it changes the camera's 10 pre-set modes: manual, sport, landscape, portrait and more. This is a very useful tool for the typical user. Advanced photographers can choose to program it to control other functions, such as manual, shutter priority, and more. Pictar's app is a turbo engine that drives Pictar forward. To develop it, Miggo teamed up with a leading app development company that not only provided the app with ease of use but also new features that do not exist in the iPhone's camera, such as preset modes and more. One of the app's most exciting components is the operating interface powered by sound frequencies. When the user operates one of the external controls it produces a sound frequency (18,500 – 20,000 khz) which cannot be heard by the human ear. When this frequency is detected by the app it generates an appropriate action. This method significantly reduces battery drainage by both the phone and the Pictar device. 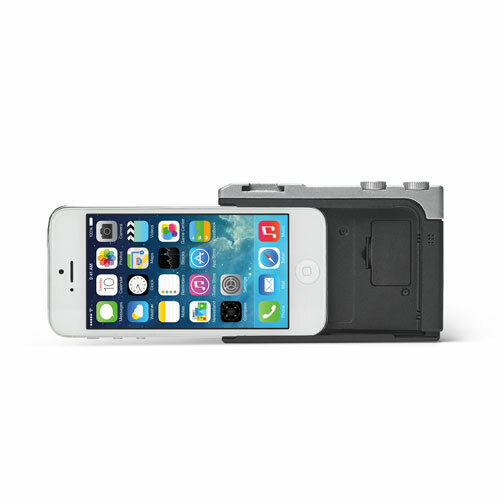 The Pictar is inspired by classic cameras. 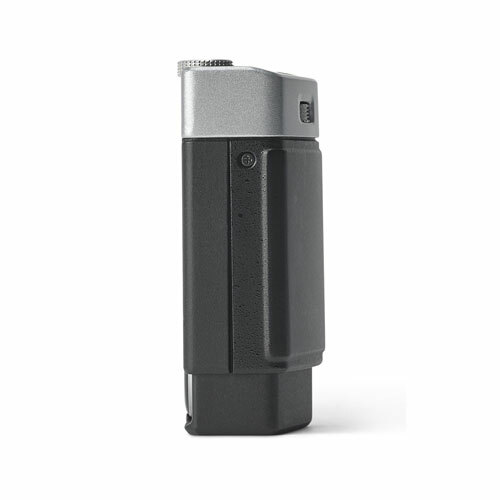 It allows a firm grip and instant access to all five external controls - all this with just one hand. 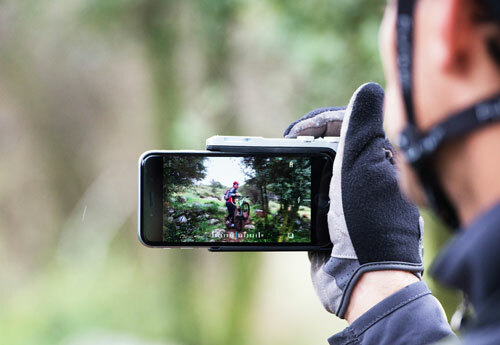 The comfortable grip prevents the phone from slipping out of your hand and falling, significantly improves the sharpness of images and allows you to shoot with one hand - vertically or horizontally - and even taking a picture with gloves. 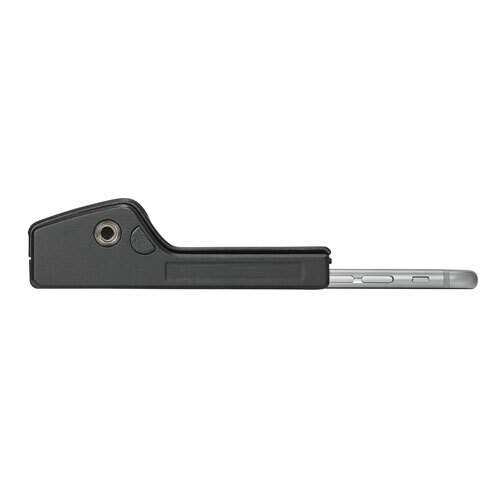 Pictar has a connecting hook for a strap and is supplied with a designated wrist strap. 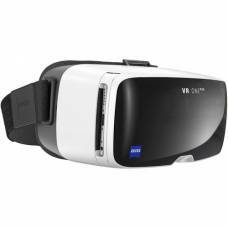 It also comes with a padded carrying case with a metal carabiner for secure attachment to a bag or belt loop. 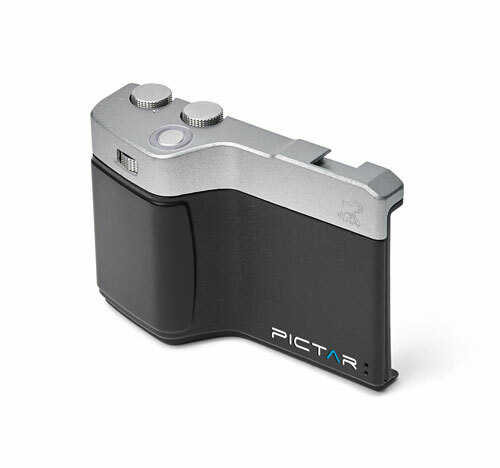 With advanced photographers in mind, the bottom of the Pictar offers a ¼” 20 standard connection for a tripod. On top, there is a "cold shoe" connection for external lighting. The battery indicator comes on when any of the dials are activated. 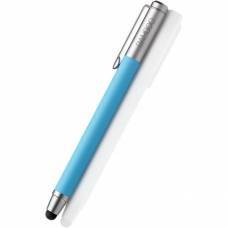 The light pulses gently and reassuringly to show the battery is in a good condition. The battery indicator flashes rapidly to show that the battery is operating sub-optimally. The battery indicator stops flashing after 45 seconds of inactivity. Manual control of shutter speedSHUTTER SPEEDAperture, shutter speed and ISO form what is known as the exposure triangle in photography. Shutter speed is the length of time that a single frame is exposed for, more specifically how fast the shutter opens and closes to permit light entering the lens, to reach the sensor. A slow shutter speed means a longer exposure time useful for motion blur like the silky look of flowing water, whereas a fast shutter speed means a shorter exposure time useful for freezing the appearance of motion in images like a hummingbird in flight. It is measured in seconds starting at 1 second and halving our doubling in time. For example: 1/2s, 1/4s and 1/8s are all fractions of a second with 1/2s being the longest exposure time, 1/4s half of that and 1/8s another half etc. * The Splat Flexible Tripod is not included.